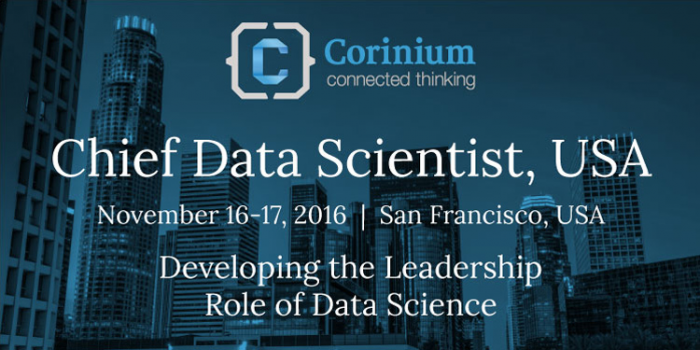 The launch of the inaugural Chief Data Scientist, USA is set for November 16-17, 2016 at the Hilton Financial District, San Francisco and brings together a high-level community of senior data science practitioners to get a detailed picture for developing the leadership role of data science. icrunchdata readers can claim a 10% discount on the delegate registration fee. Enter the promo code CDSCRUNCH when registering online. To find out more about the forum, contact Laurence Allen, Marketing Manager at inquiries@coriniumintelligence.com.